The University of Rome Unitelma Sapienza is the only on-line Italian university that is maintained by a consortium composed of public enterprise and directly linked to the largest Italian public university: the University of Rome “La Sapienza”, with 130,000 students and a staff of 4,000 teachers and researchers. Unitelma Sapienza, through the use of advanced information technology and methodologies in distance learning, promotes access to higher education, without the constraints of space, time, providing services to students and workers out of office, who are unable to attend regular educational activities. Unitelma Sapienza pays particular attention to the development of research, in particular within scientific and economic sectors. 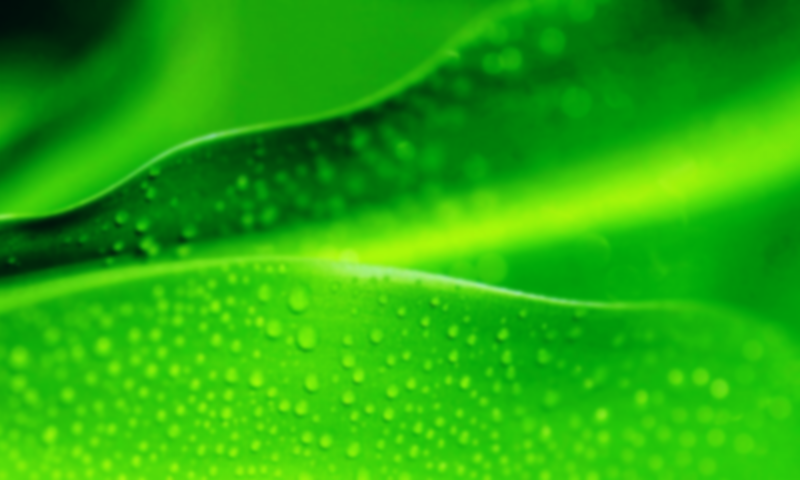 The Bioeconomy in Transition Research Group (BiT) at IdEA, Unitelma-Sapienza, is involved in research concerning the emergence of a circular and bio-based economy relying on the use of renewable resources for the production of novel products for various applications. policy and regulation analysis through agent-based modelling. The University of York (UoY) is a dynamic, research-intensive university committed to the development of life-saving discoveries and new technologies to tackle some of the most pressing global challenges. A member of the elite Russell Group of universities, the UoY has a clear focus on excellence and has secured national and international recognition. The UoY opened in 1963 with just 230 students, and has expanded significantly over the years with now over 30 academic departments and research centres and a student body of nearly 16,000. The Green Chemistry Centre of Excellence (GCCE) within the Chemistry Department at the University of York is an internationally-leading academic facility for pioneering pure and applied green and sustainable chemical research through its technology platforms on microwave chemistry, alternative solvents, clean synthesis and renewable materials. There are currently around 100 people working within the GCCE including academic staff, researchers, graduate students, support staff and visitors. The GCCE has recently moved into a new purpose built €5M centre incorporating a unique Industrial Engagement Facility. The state-of-the-art facilities within the GCCE allow work on a range of scales, from grams to kilograms, with a strong emphasis on waste valorisation and clean technologies. The GCCE also provides high quality education and training programmes and develops strategic partnerships with global corporations and world-leading universities. The GCCE is WP leader for WP3 (Downstream Environmental Assessment). They are also particularly involved in WP1, WP2, WP4, WP8 and WP10 contributing with its experience of biobased product standardisation, sustainability, and processing of biomass into valuable chemicals. The Chair for Innovation Economics at TUB (Technische Universität Berlin) develops demand-oriented solutions for partners in industry, research and public administration in the fields of innovation, technology and management. The Chair was established in 2006 in cooperation with the Fraunhofer Institute for Systems and Innovation Research (ISI). Demand-side innovation policy (including the role of public procurement). Our research focuses on the identification, development and analysis of European standards, intellectual property rights and patents as strategic instruments for innovation and indicators for innovation activities in different industries, including the bio-economy. The effects of various forms of regulation (e.g. concerning environmental, labour market or public procurement issues) on innovation processes is a central topic. We employ a number of different methodological approaches based on scientific and technological indicators: innovation and technology forecasting using various methods (e.g. Delphi, scenario analysis), statistical and economic analysis, network analysis, as well as expert analysis and survey. We have experience in conducting research in the field of standardization, regulation and innovation for nearly a decade. TUB has been involved in many national and international projects in the field of standardization/regulation and in the implementation of foresight studies, such as the Joint Research Centre study on the role of standards and standardization in the European Union until 2025. Based on our experience in various sustainability consortia, we believe we are well-equipped to help carry out our current research assignments. TUB will lead Work Package 1 (screening and analysis of existing sustainability schemes for the bio-economy) and Work Package 5 (market assessment) of STAR-ProBio. We will assess the market-pull for bio-based products (standards and labels), analyse consumers’ acceptance of such products, and assess the market uptake of proposed measures. Furthermore, we will support our partners to analyse value chains and case studies, communicate with stakeholders, and implement tasks in other Work Packages. The AUA with 6 Departments (Crop Science, Animal Science and Aquaculture, Biotechnology, Food Science & Human Nutrition, Natural Resources & Agricultural Engineering, Economics & Development) 28 building complexes, 55 auditoria and classrooms and 42 fully equipped Laboratories, modern library, 5 greenhouses, dairy installation and winery, farm machinery, composting unit, experimental fields, has a long experience in managing European and other multinational or bilateral research and educational projects and a diverse expertise covering all the fields of agriculture, use of raw materials, environmental protection, natural resources management, energy, biotechnology, food science and technology, economics and manufacturing. The six Departments of AUA confer an integrated two-cycle five-year Degree in the corresponding disciplines. Instruction during the first nine semesters includes lectures, laboratory work and field trips, while the tenth is devoted to completion of a graduate thesis. Four months of practical training are required to ensure familiarization with current developments. This formal learning and practical training has been and remains embedded within groundbreaking research addressing major challenges facing Greece and Europe in the twenty-first century. AUA offers also 12 post-graduate programs of studies, 3 interdepartmental. Number of undergraduate students from 1st -5th year: 3111. Academic staff: 220 members. AUA also participates in European Education Programmes such as the Lifelong Learning, the Leonardo da Vinci, etc, in order to emphasize the development of its European dimension and contribute to the integration of the European Higher Education programmes. Web: www.aua.gr. The Laboratory of Food Process Engineering from the Department of Food Science and Human Nutrition (DFSHN-AUA) is well equipped with adequate infrastructure to support a number of research projects funded by national and international research institutions. There are 3 post-doctoral researchers, 13 PhD students and 10 MSc students working in research topics related to valorization of renewable resources (including agri-industrial waste streams), white biotechnology, biorefinery development, platform chemicals production (including BDO), LCA and techno-economic studies and bioprocess design. DBFZ, the German Centre for Biomass Research, works as a central and independent thinker in the field of energy and material use of biomass on the question of how the limited available biomass resources can contribute to the existing and future energy system with sustainability and high efficiency. As part of the research the DBFZ identifies, develops, accompanies, evaluates and demonstrates the most promising fields of application for bioenergy and the especially positively outstanding examples together with partners from research, industry and public. With the scientific work of the DBFZ, the knowledge of the possibilities and limitations of energy and integrated material use of renewable raw materials in a biobased economy as a whole should be expanded and the outstanding position of the industrial location Germany in this sector permanently secured. Smart Bioenergy: innovations for a sustainable future: www.dbfz.de. SQ Consult is a specialized international consultancy firm established in 2009. Its team of nearly 30 senior consultants combine policy, legal, financial, economic and technical expertise in the areas of energy & climate change, sustainability and market development. SQ Consult specialises in bridging the gap between policy and market. As such SQ Consult can bring the daily practices of companies and consumers into policy development to increase effectiveness and to create companies understanding of how to respond most effectively to policies they are subject to. SQ Consult advises the European Commission, UN bodies, development banks, NGOs and various multinational businesses. 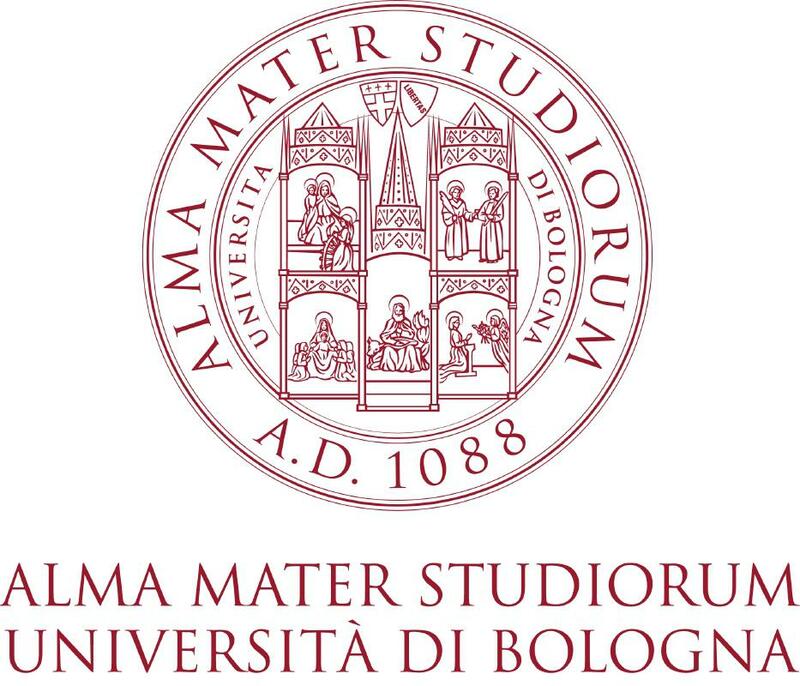 Founded in 1088, the Alma Mater Studiorum – Università di Bologna (UNIBO) is known as the oldest University of the western world. Nowadays, UNIBO still remains one of the most important institutions of higher education across Europe and the second largest university in Italy with 11 Schools, 33 Departments and more than 84,000 students. With regard to the international reputation, UNIBO has been awarded the use of the logo HR Excellence in Research and is among the top 5 Italian Universities in the main International rankings: 182nd position in the international QS – World University Rankings of the world best universities since 2010. At national level UNIBO is member of the SPRING National Cluster on Green Chemistry. Thermochemical treatment of biomasses and development of bio-char utilization routes. Within STAR-ProBio, the main EMRG involvement is on land use change. Other activities include screening existing certification initiatives and technical standards, selecting case studies and related sustainability indicators and proposing sustainability scheme blueprint for bio-based products. 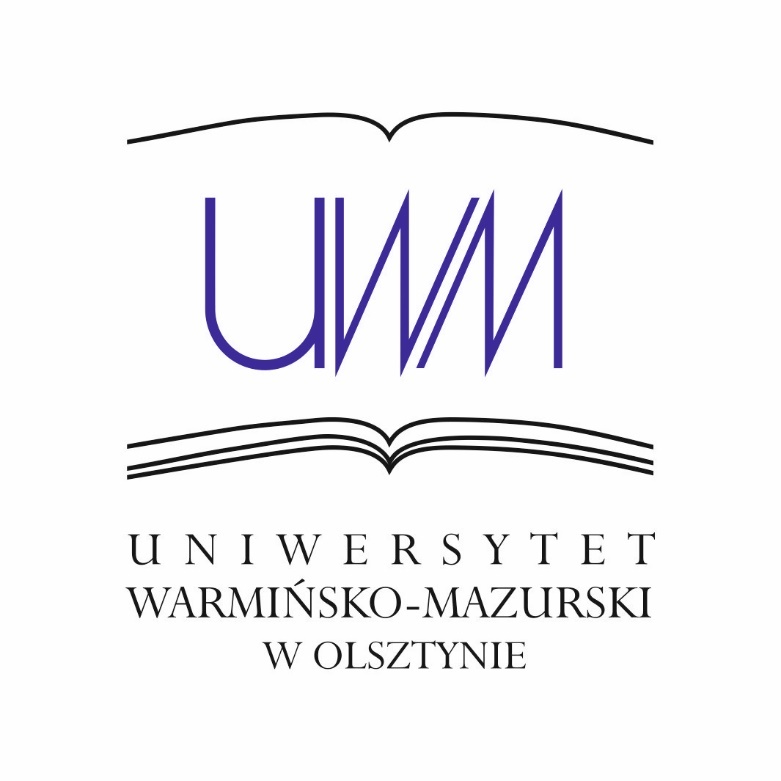 The UWM is the largest university in the north-eastern Poland. Currently, there are 17 faculties, 11 of which have full academic rights, namely the right to grant postdoctoral degrees (in 13 disciplines). Furthermore, the doctoral degree can be granted at 16 faculties, within 24 disciplines. The number of students accounted for 27000. They are educated at 65 branches of study, within either full-time or part-time studies. Additionally, there are also 600 doctoral candidates, and 1500 post-graduate students. The UWM owns modern laboratories associated with bio-based processing located at 9 faculties. The UWM participates actively in the creation and operation of inter-faculty research centers and regional clusters. The bio-based conversion is the statutory activity of the Center for Bioeconomy and Renewable Energies (CBEO: established in 2006 as the interfaculty unit, 70 researchers from 9 faculties) and the research-industry consortium: Baltic Ecoenergy Cluster (BKEE: established in 2007, currently with 170 stakeholders) co-founded and co-managed by the UWM. All these actions are undertaken to enliven the cooperation between research and practice and have already resulted in a steady increase of the contracted funds dedicated to R&D projects. CBEO, which represents UWM in the frame of STAR-ProBio project, develops biorefinery cascading processes where environmental and socio-economic assessment at each processing stage is an integral part of the methodical approach. The mission of the ChemProf company is to collaborate with partners from the chemical, food, cosmetics and pharmaceutical industries to fulfill their needs to secure development and innovation. We cooperate with scientific and research institutions in Poland and all over the world. We have been involved in many national and international projects, developing technologies on the laboratory, pilot and industrial scales. The company is an enthusiastic group of specialists in chemistry, technology and biotechnology who are ready to solve problems across a wide range of industries. We develop and improve technological and technical ideas, design new products, implement enzymes and microorganisms and also perform chemical, physical and microbiological analysis. We produce plant extracts, purify, stabilize and encapsulate bioactive compounds in accordance with the requirements of GMP, ISO 9001:2015 and HACCP. Continuous cooperation of our Research and Development Laboratory with Production Facility gives us ability to evaluate economic and technical value of final bio-based products. Quantis is a leading life cycle assessment (LCA) consulting firm specialised in supporting companies to measure, understand and manage the environmental impacts of their products, services and operations. Quantis is a global company with offices in the Switzerland, Germany, France, Italy, the United States and Colombia. It employs 70 people, amongst which several are internationally renowned experts. Quantis offers cutting-edge services in environmental footprinting (multiple indicators including carbon and water), eco design, sustainable supply chains and environmental communication. Quantis also provides innovative and customised IT tools, which enable organisations to evaluate, analyse and manage their environmental footprint with ease. Fuelled by its close ties with the scientific community and its strategic research collaborations, Quantis has a strong track record in applying its knowledge and expertise to accompany clients in transforming LCA results into decisions and action plans. More information can be found at www.quantis-intl.com. 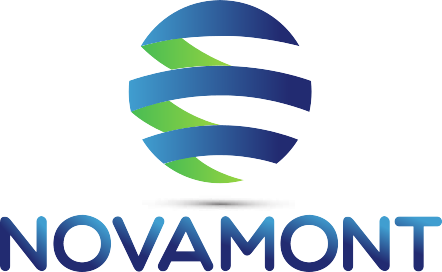 NOVAMONT is an Italian industrial company worldwide leader in the sector of bioplastics and in the development of bioproducts through the integration of chemistry and agriculture, by starting up biorefineries in the local areas and providing application solutions that ensure efficient use of resources throughout their entire life cycle, with advantages for the social, economic and environmental system. Its model of development aims at building bridges between different sectors and creating new value by collaborating with all the stakeholders in the value chain: from agriculture to research, from industry to waste management, from local institutions to civil society. 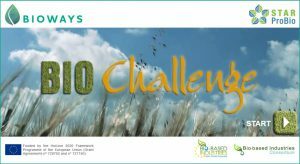 NOVAMONT promotes an approach to bioeconomy based on the efficient use of renewable resources and on the regeneration of local areas, building world-first plants based on proprietary technologies and revitalising industrial sites that are decommissioned or no longer competitive to create new industries, new products and new jobs. MATER-BI is the innovative family of bioplastics obtained from renewable resources developed by NOVAMONT research. It is biodegradable and compostable according to the European standard EN 13432 and other international standards. Besides being an industrial company, NOVAMONT is also a research centre which covers a wide range of expertise and specialisations with equipment and facilities ranging from laboratory scale activities to innovative pilot plants. Over the years it has developed four proprietary and integrated technologies for the production of bioplastics and bioproducts, creating synergies between the different areas of study (Bioplastics, Biotechnology, Agronomics and Organic Chemistry), as well as an extensive knowledge and expertise in the field of environmental footprint and Life Cycle Assessment. 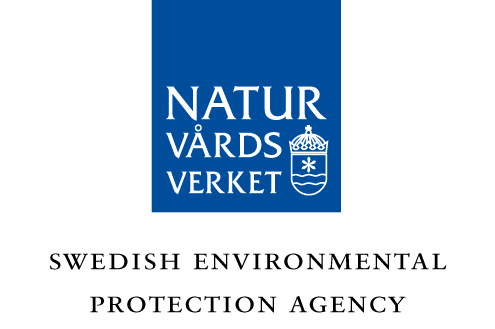 The Swedish Environmental Protection Agency is the public agency in Sweden that is responsible for environmental issues. The Agency carries out assignments on behalf of the Swedish Government relating to the environment in Sweden, the EU and internationally. The work of the Agency is funded through government appropriations. A proportion of the funding is spent on staff, premises and other ongoing efforts. The rest of the funding is allocated to environmental monitoring, environmental research and international environmental and climate collaborations. Every year, the Swedish Government establishes objectives, requirements and a budget for the Agency’s efforts in what are known as ‘appropriation directions’. The Agency’s remit includes the allocation of government appropriations to other actors within fields such as the protection and maintenance of valuable natural environments, clean-up and remediation of polluted areas, compensation for damage caused by wildlife and support for outdoor recreation organisations. USC is an historical University, founded in 1495, with more than 2,000 lecturers (about 38% female) and more than 300 research groups. USC has participated actively in more than 100 projects under various European Union RTD Framework Programmes and Initiatives, being the resources obtained by R&D accounting for more than 20% of its total budget. USC has being recognised by the Spanish Ministry of Education in the top ten as one of the International Campus of Excellence. The Group of Environmental Engineering and Bioprocesses (Biogroup) is part of the Department of Chemical Engineering. It performs research in Novel wastewater treatment technologies, Anaerobic (co-)digestion, Environmental Management and Biorefinery (http://www.usc.es/biogrup). The research line on Environmental Management has started in 2000 and is focused on the development and application of tools related to Life Cycle Assessment (LCA), Environmental Footprint and Ecoefficiency. The expertise comprises the Development of LCA methodology and its application to different sectors, including food production, biofuels, wood industry and wastewater treatment technologies. Since 2006, the group has participated in 11 EU projects, namely BIORENEW (2006), AQUATERRE (2008), Capacity building of Thai food industries (2008), FENIX (2010), BAMMBO (2011), BIOFOAMBARK (2012), AQUAENVEC (2012), MOSSCLONE (2012), LIVEWASTE (2013), CATCH (2016) and STAR_ProBio (2017) This activity led to 9 PhD Thesis and around 140 research papers. agroVet GmbH is an independent certification body that provides top-quality services. We inspect and certify companies according to a wide variety of quality standards in the raw material-, food & feed sectors as well as in the wide field of sustainability, biomaterials plus renewable energies. agroVet has been accredited according ISO 17065 for several international and national standards and therefore is able to perform in an international network. It is our approach to include many high qualified, experienced professionals from all areas of food and feed production to offer our customers on the one hand side competent contact partners and on the other side transparent and traceable decision processes. Cooperations with partners allow us also to provide System Certification Services for ISO 9001 and ISO 14001. Head Office: agroVet GmbH, Königsbrunner Strasse 8, 2202 Enzersfeld, Austria, T: 0043 (0) 2262 672212, F: 0043 (0) 2262 674143, www.agroVet.at. National and International Offices (including partner offices): Bad Aussee, Austria; Lebring, Austria; Budapest, Hungary; Cakovec, Croatia; Sophia, Bulgaria; Bukarest, Romania. ECOS is an environmental NGO that defends environmental interests in standards and technical processes at European and international levels. Our goal is to contribute to the development of ambitious strategies to reduce environmental impacts, promote resource and energy efficiency, and ensure a healthy environment. This is done with the support of over 40 environmental NGOs and with a strong pool of independent experts. We are the only environmental organisation worldwide specialised in standardisation and technical product policies. Uwe Fritsche (Director of IINAS).